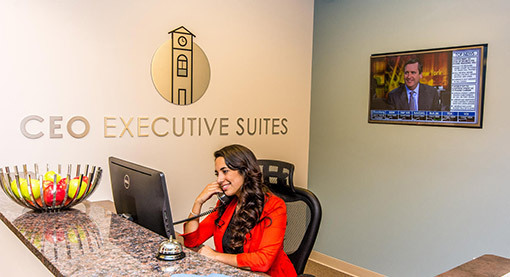 The new CEO Executive Suites Virtual Office allows entrepreneurs to develop and present their business plan from a prestigious commercial address. Flexible fees, personalized telephone answering and voice mail, a legal address, mail handling services and more. Our Virtual Office plans provide a customized, convenient support platform for professionals and companies, without the hassle of administrative duties and high operation costs. Let us know your needs and we will provide a smart, cost-effective solution. Make an impression and meet your clients in our brand new building. Separate your business address from your personal address and enjoy all the benefits, including a prestigious address for your mail, your stationery and your advertising campaigns, as well as all the CEO Executive Suites staff and services at your disposal and on demand. 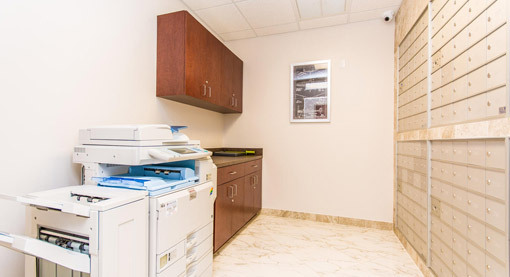 Visit us and discover why the new CEO Executive Suites building is the right choice for your business.